After the government decided to close down sugar mills and farms in Tucumán, people were lead to poverty and starvation. Vanguard Artist's Group conceived the project for the CGT of Rosario (Argentinean labour union formed by workers, artists and intellectuals) as an intervention in mass communication, generating a circuit of counter information about the situation in Tucumán that opposed that of the dictatorship in Argentina while political parties, education policies and the mass media were strictly controlled and censored by the government. Within the frame of the First Biennial of Avant-garde Art (1ª Bienal de Arte de Vanguardia), the group developed isolated actions that formed an overall campaign which went unnoticed until its final manifestation: "Tucumán" stickers were placed throughout the city, promoting the biennial, "Tucumán Arde" (Tucumán burns) graffiti and stickers were all over the city as a political campaign. 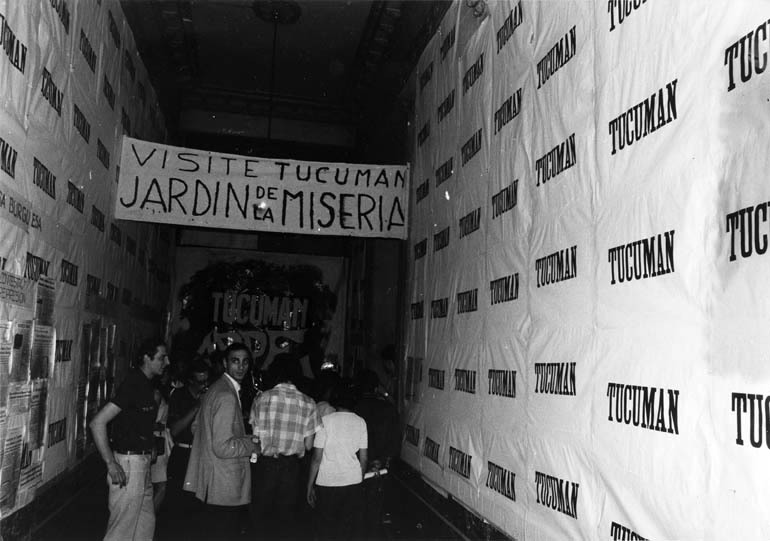 Participants in the Biennial travelled to Tucumán to research and document the conditions of the workers and the documentation was part of the exhibition which was attended by 3000 people. 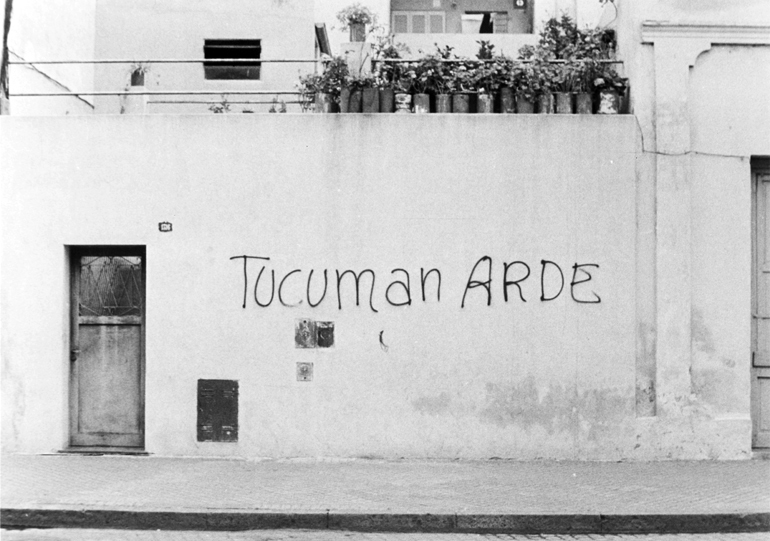 The artists conceived of art as an effective instrument for social change, and through the Tucumán Arde project they sought to bring the social conditions of the province to the attention of a large public. The public of the exhibition could take away the printed information to disseminate it. In Buenos Aires, the exhibition was closed by the police on the opening day and it was reviewed by different media attracting national attention.